With the rapid pace in urbanization that is taking place now days, people are moving from rural areas to urban areas. Since, with the growing number of population, the demand for high yield crops is also increasing. There are very less number of people left in rural areas because the population is shifting to urban areas. At this time agricultural robots are in great need as they avoid the problem of human labor. Agriculture is one of the oldest and important sector and has evolved from manual agricultural process to mechanical process and has now led to robotics. Now the question arise who are agricultural robots? Agricultural robots are the robots designed for the purpose of agricultural operations. Agricultural robots are the perfect blend of technologies and advance navigation, sensor, mobility etc. They are also known as farmer robots as they are involved in certain harvesting, cultivating of rice, fruits, vegetables etc. Some of the major areas that agricultural robots cover are soil monitoring, proper irrigation, precise weeding and design of cultivated field etc. They have made the process of agriculture much easier than humans do. Agricultural robots have also improved the quality and standard of crops. Agricultural industry is one of the biggest industry and a worth of USD 6 trillion and agricultural robots are a big part of it as the successful market of agriculture is based on robots that work in this sector. Agricultural robots hold approximately more than 50% of market share in agricultural industry. Agricultural robots help farmers to successfully manage labor workforce as the problem of shortage of labor will be eliminated. However, cost of robots used for agricultural purposes are too high will work as a restrain for the growth of this market. Global agricultural robots market reached USD 3.5 Billion in 2016 and is expected to account USD 17.0 Billion by the end of 2024 with a CAGR of 22.0% over the forecast period. On the basis of technology, hardware segment tend to dominate the market due to extensive use of advanced components such as sensors and monitoring device GPS in field farming. Based on product type, the milking robots are dominating the market due to increase in number of milk yield and dairy farms. Geographically, North America dominates the global agricultural robots market because of rising adoption of advanced robots in agriculture sector. North America agricultural robots market generated a revenue share of more than 50% in overall agricultural robots market owing to rising investment in agriculture sector. Increasing demand for food, grain, crops and other agricultural products are increasing pressure on the agriculture sector to increase the supply of quality crops. 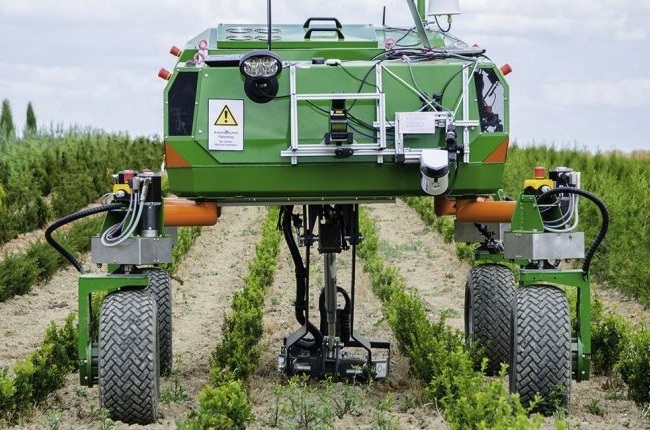 Agricultural robots help in reducing human errors and offers precise farming. Lack of skilled expertise is a major challenge for the agricultural robots market. Agricultural robots are sought to inject a new life in Japan agricultural workforce.